In making this analysis Fritz [Schumacher] did not exclude the additional pressures to put up prices, which came from the struggle over limited resources… but he insisted that both sources of pressure could only be contained through ‘justice’, and ‘justice’ involved setting a limit, knowing when enough was enough. In practical terms Fritz suggested that meant a limit to salaries and had strong words to say to those who argued that limits to pay make it difficult to attract the ‘best’ people into the most important jobs. "This argument misses the point. Those who cannot accept that enough is enough are not the best people; they are dangerous people who make our problems insoluble and we cannot have them as top civil servants, industrialists, judges, generals, etc." ~ A Life of Fritz Schumacher by Barbara Wood. As the quite justified anger over externally imposed cuts in classical music funding continues, remember Commodore Perry's words: “We have met the enemy and they are ours”. Don't forget these salaries are only for the conductor's principal post(s). They do not include guest conducting fees, recording income etc. "How I wish I'd concentrated more on music in school..."
Scott has emailed the following comment. Indeed ... but I prefer Pogo's more trenchant rewording - "We have met the enemy and he is us." Beyond that, I suggest that there's some pretty fuzzy thinking illustrated here. I know of no evidence that this is universally true as stated, and can think of counter examples without much difficulty. To pick just one flaw - enough in whose opinion? In how many cases are the payer and the recipient going to agree? And if they don't, who is "wrong"? Further, amid the displayed angst about "high-earning conductors," what does "high-earning" mean? The salaries are certainly handsome relative to orchestral musicians, teachers, and even most medical personnel. On the other hand, none of them rise to even the average salary in major-league baseball or basketball. This of course does nothing but illustrate the slipperiness of this sort of argument. I suggest that this comes down to how much an organization is willing to pay its conductor. A large part of that should be affordability, but it isn't always so. I'm not what you'd call a sports fan, but I find the labour relations in major league sports interesting, and (I think) relevant to the situation described in the article. Conductors have achieved what some think ruinous salaries without collective action on their part, of course, but in some sports, it is only collective action involving the owners which has imposed what controls exist on how high player salaries go. Scott, three points points trouble me greatly about those salaries, and they prompted this post. 1. Classical music cannot plead for protection from the free market in the form of public funding when it embraces free market salary levels. 2. These salaries, which incidentally are the result of collective action by avaricious agents, have a knock-on effect into less well funded ensembles. 2. The disparity between celebrity and rank and file salaries will provoke internal unrest. I fear, judging by the recent labour disputes in American orchestras, that this may well cause the collapse of classical music as we know it. You talk of 'star' conductors and I would respond as follows. I have fairly discerning ears and buy very many CDs. I cannot remember when I last bought a CD by any of those four 'star' conductors, and can see no reason at all why their rewards should be so disproportionately high when compared with equally talented colleagues. '"...can see no reason at all why their rewards should be so disproportionately high when compared with equally talented colleagues." Pliable, I'm sure you're being deliberately naive here, and that you recognize perfectly well that the reason is about the most cogent one possible - that someone is willing to pay and there's nothing to prevent it. The comment about collective action by agents I can't really comment on; you have knowledge of that world and I don't. However, this could be viewed as supporting my suggestion of the need for collective action by the employers. "...judging by the recent labour disputes in American orchestras, that this may well cause the collapse of classical music as we know it. " Is this not another way of saying that the conductors' labour relations have been more effective? Scott, I'm quite happy to disagree amicably on this one rather than get locked into a circular discussion. Also quite happy to be termed "deliberately naive" if that is what is needed to register my horror at this level of remuneration in a sector of the arts that is pleading poverty every single day of the week. Interesting that three of your chosen conductors were established names when I began listening to classical music some 30 years ago; Gilbert is six years younger than me. James Sinegal, co-founder of Costco, when asked why he took a base salary of only $350 000, replied, "How much do I need?" Sinegal was ranked as one of the best CEOs by Fortune, so out goes the argument that those staggering salaries elsewhere are necessary to attract the best. And symphony orchestras are corporations today, as is nigh on everything else. So just where did this business of $50000 for a Perlman recital, $18000 to Reich just for showing up, multiple music directorships at massive salaries with orchestras lucky to see their director five weeks a year, etc., start? I have no doubt with management agencies, notably those who have long rosters of artists, also represent orchestras, and have fingers in operatic pies and in recording companies. This is a moral issue. Artists know orchestras and opera houses are collapsing. That in the States, a top member of a mid-range orchestra might get $75000 p.a. That they get gigs with certain orchestras at vast fees because the agent also represents orchestras and can use a little 'persuasion' re who an orchestra must engage to get who they also want. So those ludicrous fees had better be paid, and few artists seem bothered by the financial fall-out. But this is half the problem. SOs are corporations, often headed by MBAs, everything to an MBA is a 'product', and all products are Big Macs, susceptible to the same business model they learned at school. Double-disaster, for many also have little interest in the organizations they head, little in its true 'product'. It is all the bottom line, PR, image, and spin. They are wrong, it is often disastrous, and it plays into the hands of the agencies. I make here a general point based on cases I know too well. A SO engages a super-star violinist for an outrageous sum. Why? Bums are already in seats because of subscriptions, although the price of individual tickets remaining are bumped up. They inevitably make a loss. But, the CEO thinks, a PR coup! We brought in X! Funding! Crap. X is so ubiquitous that he/she is rather like the LCD of superstars at the highest fee. Worse, the CEO also turns producer and arranges for said artist to give a recital. This does nothing but put it in needless competition with a fine Recital Society, which brings in only the finest artists in an annual series. It was thus I got to hear and meet Annie Fischer, and it did NOT cost $50000. But she was of another age. I'm certain that the CEO of the SO had never heard of Fischer, and likely not a lot of its audience. They would have learnt of her and from her if she'd been engaged by the symphony, but where's the PR, the spin in that compared with bringing back that ubiquitous superstar. The year following the SO had its biggest deficit ever and the MBA was chucked out, gripping a very golden handshake. At the organization I allude to, things have changed. Artists of any known distinction are rarely engaged. 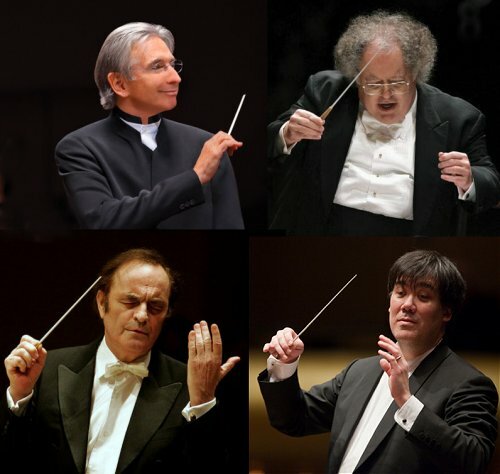 We have guest conductors and artists who are of unknown or, in my view, unwanted qualities. He or she may do a good job of it or not, but I'm not paying the equivalent of the cost of five Naxos CDs to find out. What we have much more of are concerts with pop singers and bands, a series of concerts of Xmas music, a series of light classics, and on. And much of that could be, IS done, by other, smaller ensembles that struggle far harder for funding. In all this, the main symphony series is almost lost, though its millions in funding remain. In sum, I put it at the door of manipulative and monopolistic artists agencies, greedy and unthinking artists, and incompetents at the head of artistic corporations who have allowed it to happen, either because they don't understand it, or just don't know how to deal with it. With regard to that last, someone years ago should have shouted, "NO!!!!!" But no one did. Yet all is not lost, and that is where co-operatives enter the picture. Equally as dangerous as the person "who cannot accept that enough is enough" and asks for such salaries are the people (board members, CEOs, and their ilk) who also cannot understand "enough," and approve these salaries. I know this post is over two years old ... but everything's new when you discover it on the web, and I don't think this situation has changed much in two years.